Every organisation has a safety culture, but some are better than others. It is the beliefs, attitudes, norms and values of people in that organisation and can be summed up as ‘it’s the way we do things around here’. A great safety culture is when people continue to work safely and do the right things … even when no-one is watching. People in senior positions create an organisational climate which is open to criticism and fosters comments and feedback from all employees. In the words of Sidney Dekker, Professor of Humanities and Social Science, Griffith University, safety culture is a ‘culture that allows the boss to hear bad news’. So, what is safety culture? The term was first used in 1986 by the International Nuclear Safety Group (INSAG) after the Chernobyl disaster and they described it as ‘That assembly of characteristics and attitudes in organisations and individuals which establishes that, as an overriding priority … safety issues receive the attention warranted by their significance.’ Studies have found that workplace-related disasters are a result of a breakdown in an organisation’s policies and procedures that were established to deal with safety, and that the breakdown flows from inadequate attention being paid to safety issues. The second booklet of CASA’s updated Safety behaviours: human factors for pilots’ kit looks at the organisational characteristics which influence safety behaviours in aviation and other industries and examines what makes a safe organisation. It examines the reasons for poor cultures which have led to fatal accidents, including one of the most notorious in Australian aviation—the 1994 loss of a Seaview Air Aero Commander en route to Lord Howe Island. It also describes the consequence of poor safety cultures which led to a fatal rail collision in the Blue Mountains, the rollover of an army troop carrier at Holsworthy near Sydney, the disastrous Piper Alpha fire in the North Sea, and the Chernobyl nuclear accident in the former USSR. It also makes the case that an organisation with a positive and effective safety culture brings significant economic as well as safety benefits. 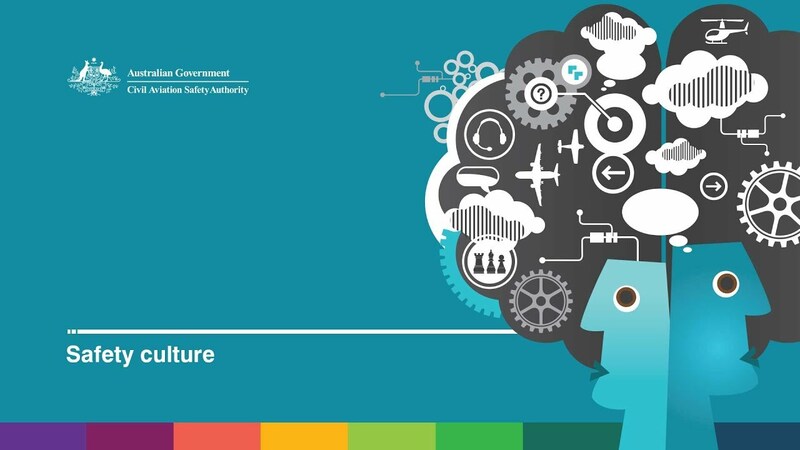 The booklet also looks in detail at the components and characteristics of a safety culture, and provides advice on how to build it, such as by standardised reporting of incidents, near misses and safety hazards, and establishment of a formal, fair and just management review process. Safety behaviours: human factors for pilots’ kit is out now for free on the CASA website, or can be ordered in print and on USB from the CASA Online Store. Excellent article aimed at Zero Harm as the ultimate goal.